Badla First Look: Sujoy Ghosh's Film to Release on 8th March 2019! Badla First Look: Sujoy Ghosh’s Film to Release on 8th March 2019! 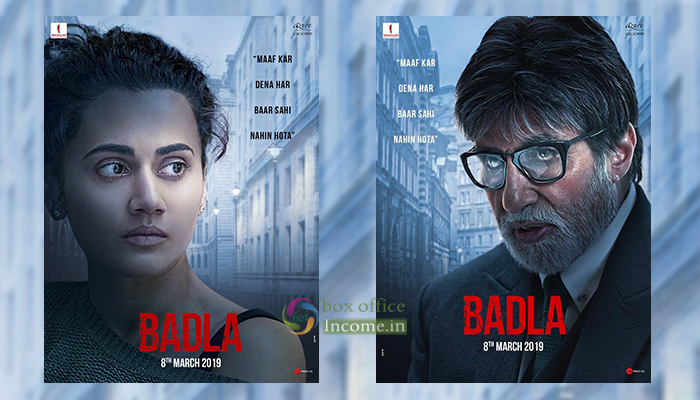 Two of the supremely talented actors in Bollywood, Amitabh Bachchan and Taapsee Pannu are all set to share the screen with each other once again in an upcoming film ‘Badla’. Last they were seen together in Aniruddha Roy Chowdhury’s Pink that was released in the year 2016. SRK first thronged Twitter and wrote: “Main aap se Badla lene aa raha hoon @SrBachchan saab! Taiyaar rahiyega…” Big B responded saying, “Arey bhai @iamsrk, Badla lene ka time toh nikal gaya .. Ab toh sab ko Badla dene ka time hai”. And before people could think more, the first posters of the movie ‘Badla’ were shared by SRK and Amitabh Bachchan on social media. 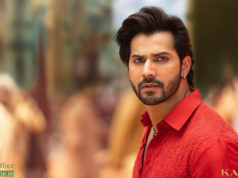 On Feb 11th, 2019 Makers made an announcement by releasing the first look posters of the film that feature the leading actors. The posters see Amitabh Bachchan in an intense look and with spaces in his eyes. He is sporting a long beard and the poster has a line “Maaf Kar Dena Har Baar Sahi Nahin Hota”. 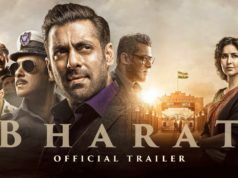 While another poster has Taapsee Pannu in crying eyes and even her poster has the same line. Directed by Sujoy Ghosh, while Produced by Red Chillies Entertainment in association with Azure Entertainment, Badla is all set to hit screens on 8 March 2019 and the trailer of the film is coming out on tomorrow i.e 12 February 2019.